The primary mission of the Masterworks Museum of Bermuda Art is to build and display a collection of Bermuda-inspired art. Inasmuch as Bermuda has inspired numerous artists, this mission has resulted in a diverse collection. It is displayed in an intimate space designed specifically to showcase this collection. The Masterworks Foundation was founded in 1987 by Tom Butterfield, MBE. His vision was to establish a collection of art through which people could gain a better understanding of the history, culture and heritage of Bermuda. In its early years, Masterworks led a nomadic existence, putting on exhibitions in various locations. However, in 2008, it moved into a former arrowroot factory that had been renovated expressly to serve as a museum. The Masterworks Museum has 16,000 square feet of exhibit space in three galleries. In addition, it has a library, classrooms and storage space for works of art. There is also a cafe and a shop on the site. Masterworks' permanent collection has grown from 12 paintings to some 1,500 works of art including paintings, photographs and sculpture. The works date from the 1700s to the present day. No single style or period dominates the collection. 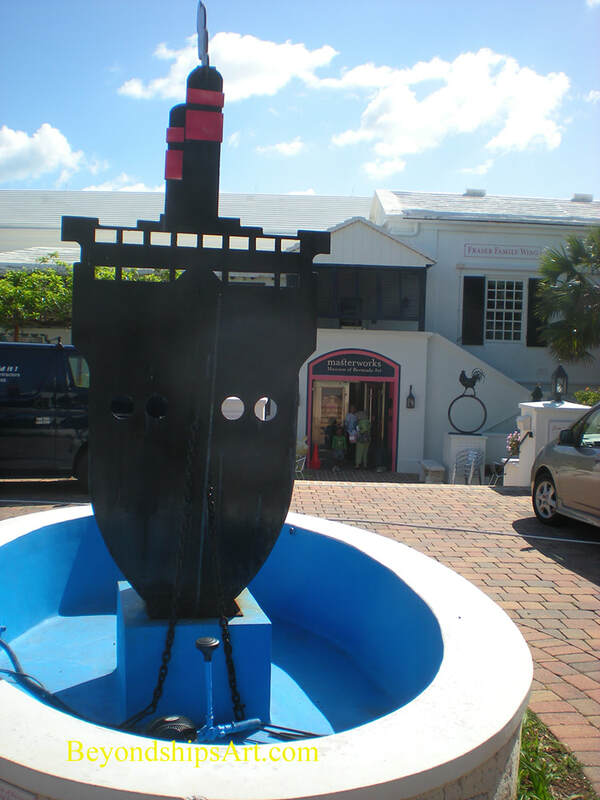 Rather, the unifying theme is that the works have a connection to Bermuda. The collection includes works by Bermudians as well as artists from other countries who were inspired by Bermuda. As a result, the collection includes works by artists with international reputations such as Georgia O'Keefe, Winslow Homer and Henry Moore. Works from the permanent collection are shown on a rotating basis. In addition, Masterworks has temporary exhibitions featuring artsits from or resident in Bermuda. Masterworks is located in the Bermuda Botanical Gardens outside of Hamilton. The Botanical Gardens was an inspiration to former Beatle John Lennon. (See separate article). Accordingly, there is a sculpture by Graham Foster in the courtyard in front of Masterworks dedicated to Lennon. For information about visiting, see the Masterworks website.